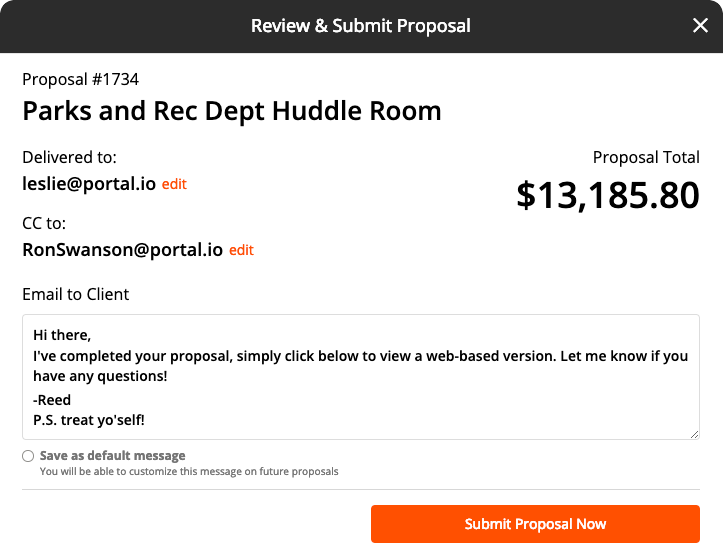 When you submit a proposal, you'll see an area to CC another email address. The email address that you CC will not be created as a new person in the People Module, nor will that CC'd email address be linked to the main Person in any way. However, the proposal will remember the email address that you CC'd and prefill that field each time you send any proposal to that contact. You can CC multiple email addresses, simply separate each email with a comma, like shown below.